Quality bouquets delivered with a smile. 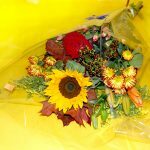 For your special flower delivery, drop in, phone or order on this website and we'll do the rest. 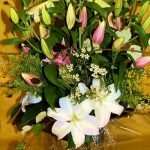 Evergreen Florists Galway is a flower shop located in the heart of the City where we have been serving the local community with floral arrangements and delivering bouquets of flowers for all occasions since 1989. We have over 30 years of experience looking after our customers. 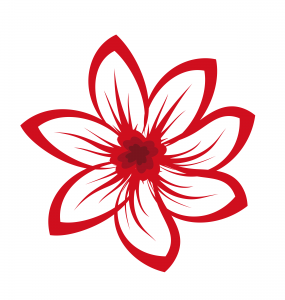 Our expertise and experience has allowed our flower shop to thrive. Mothers Day Flowers Galway. Sunday 31st March 2019 is your opportunity to show your mother what she means to you. Evergreen Florists can help you say it with flowers. There are so many things to thank your mother for. This year, thank her properly with a bouquet of flowers. We also have some other great gift ideas to make this Mothers Day really special. 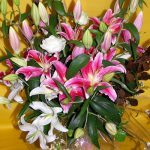 Evergreen Florists have a wide range to choose from and will custom-build a special mothers day bouquet for your mother that will show her how special she is. 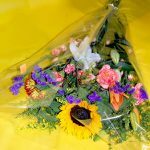 Our bouquets are hand made to order in store to ensure that you get the freshest and most creative designs for your money. 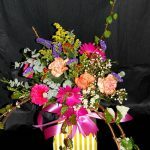 Our florists can create bouquets that will impress whatever the occasion. 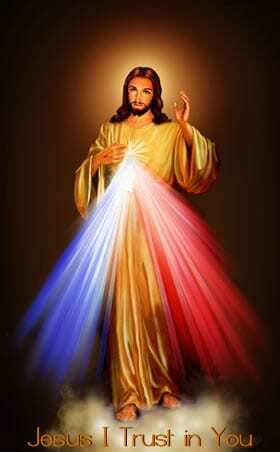 if there is not ont here that suits, give us a call. We deliver your order to Galway City and county next day. If you need a same day delivery, please phone as early as possible. You really don't need a reason to send flowers to someone you love. just do it. They will be surprised and delighted. Our flowers are harvested and shipped overnight in cooled containers to ensure they arrive fresh for you at our flower shop where our florists create wonderful bouquets and displays just for you. 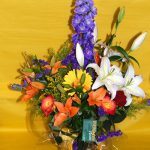 Fast reliable flower delivery service in the Galway area. Call us at the number below or order online from this website.